Canalicular lacerations are a frequent periocular injury that should be addressed promptly to avoid canalicular stenosis and subsequent epiphora. Canalicular repair requires appropriate intubation of the canaliculus across the laceration with a silicone stent. Surgeons have a wide variety of stent materials available that have, in many cases, made repair technically easier and faster and eliminated the need for general anesthesia. 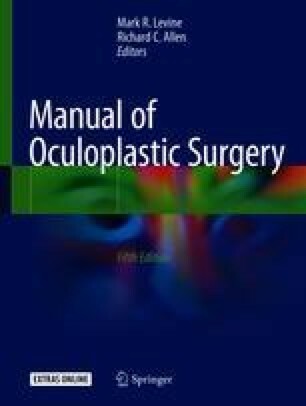 Surgeons should be familiar with general canalicular intubation and eyelid closure techniques and the different silicone stent materials available and their benefits and shortcomings. The online version of this article ( https://doi.org/10.1007/978-3-319-74512-1_5) contains supplementary material, which is available to authorized users.